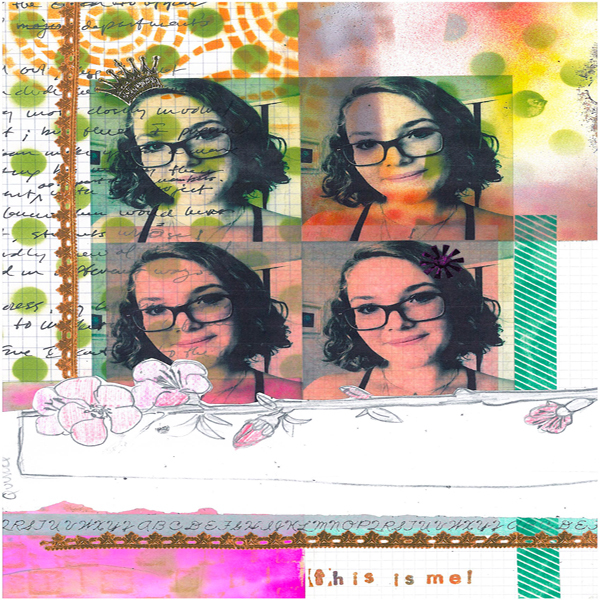 Project Description: Learn how to create a transformed selfie using Computer Grafix and Artist-tac. This is a partial list; anything you find in your studio can be incorporated! Depending on the resources available there are 2 ways to print your students’ images on the Computer Grafix Film. 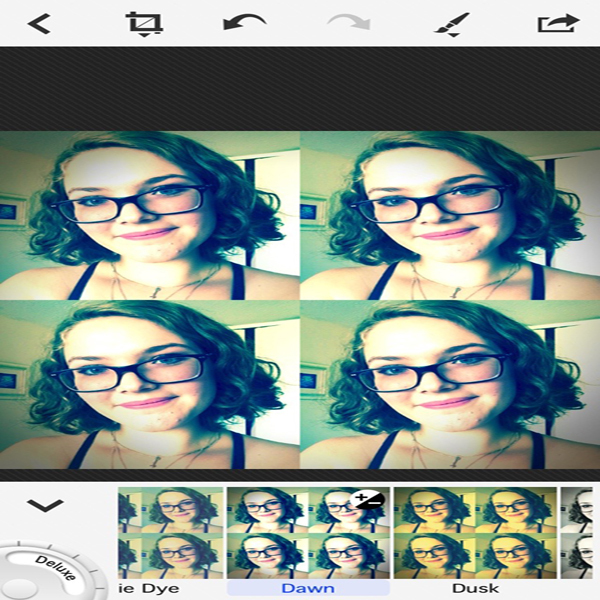 Have students take selfie then manipulate in photo design app (see partial list on previous page). To print multiple images directly from mobile device use a photo layout app to size and repeat images or print several different images. Connect to a Wi-Fi connected printer to print images on Computer Grafix Film. 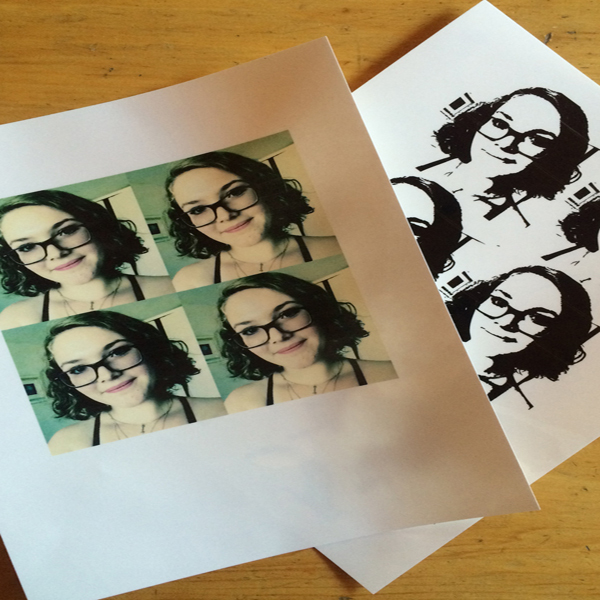 If you have access to a computer lab with art software, your students can work with Adobe Illustrator or Photoshop to manipulate selfie images even more. 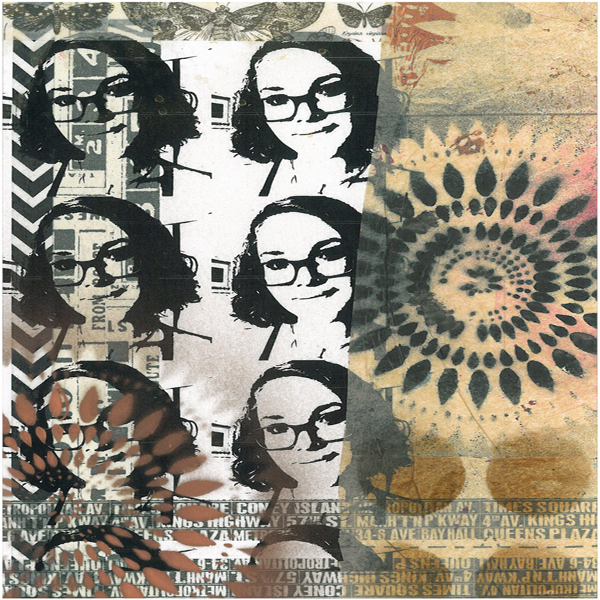 Once your students have their sheet of printed selfies, it’s time to explore collage art forms. I pulled out art papers, and even newspapers, torn journal or sketchbook pages and phone book pages that can be interesting. 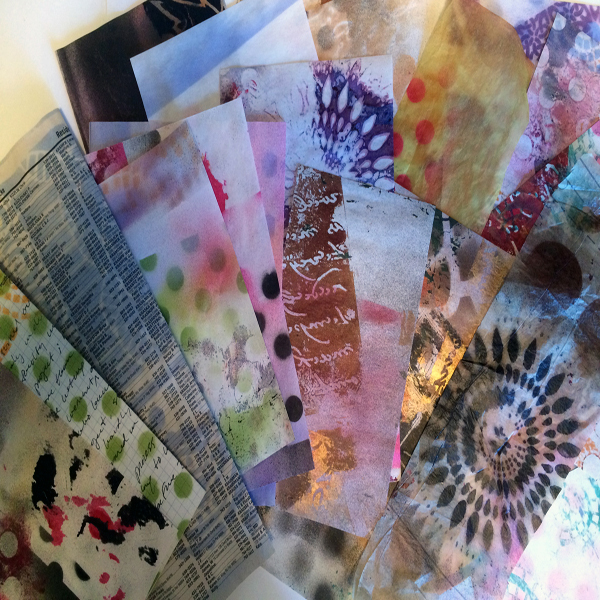 I have found spray paint and pattern stencils are a great way to create interesting art papers. If using spray paint, cover tables outside, bring out journal and sketchbook pages, and spray overlapping patterns and colors. Now students cut, tear and glue pattern papers onto backing board using appropriate adhesive depending on thickness and texture of paper. When adhering papers and collage elements onto transparency paper, I advise using Grafix Artist-tac for lasting bond. Remind them their selfie is transparent; things will show through so they may want to leave some parts of the composition more sparse so selfie shows up more. Encourage your students to make at least 3 or 4 pieces so they can experiment with layering and then have the chance to evaluate their finished works.